Ireland’s Forecourt & Convenience Retailer speaks to Akash Aggarwal, owner of Western Service Station Applegreen Ennis about his successful site in the west of Ireland. Ennis, the biggest town between Galway and Limerick, borrows something valuable from each. The youth and artistic exuberance of the northern city can be felt in an evening’s musical meander around the town’s cobbled streets. Meanwhile, the morning hubbub of Ennis’s thrumming commercial centre is like a microcosm of rush-hour Limerick’s industrial busyness. The sprawling town is ambitious and inventive, and remarkably stuffed with American tourists. The traditional music, bright shopper-friendly streets, and café culture hide a hard-working core that has kept this town from being dwarfed entirely by its two neighbouring giants. Part of this commercial zing can be seen in the large industrial parks that have opened around its circumference, and it’s here that Akash Aggarwal taken his Western Service Station forecourt under the wing of Applegreen. The site, in Ennis’s eastern-baring Quin Road, is within shouting distance of Tracklands Business Park; a viscous mix of pre-fab buildings teeming with enterprise and ambition. Much like Akash then, who owns three further Applegreen sites under his company, Western Garages Limited. These are located in Old Church Street, Athenry; Chapel Lane, Drumgoold, Enniscorthy; and Kingscourt, Dublin Road, Co Cavan. 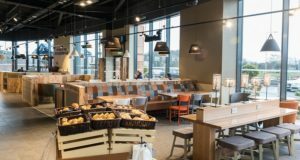 The Applegreen forecourt is combined with a Daybreak store, and it’s the instore deli which has become a focal point of the business. 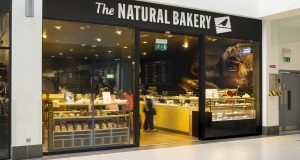 According to Akash, the bakery has helped attract many more people to the site. The standards Akash keeps at all his forecourts marries with the expectation of quality from being an Applegreen site. He explained that since switching to the brand earlier this year, business has been going “extremely well”, growing by 20% over the period. According to Akash, Applegreen’s fuel card is the most competitive on the market, with no card fees or hidden charges, and has been hugely beneficial to the business. 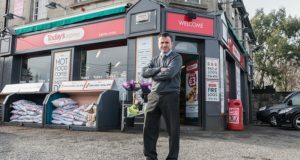 It’s incentives like these which keep Akash’s forecourt in the running, as the demand for quality convenience seems constantly on the rise in Ennis. “Ennis is a very competitive market for forecourts,” Akash said. “It’s a nice town and it’s getting very busy at the moment. During the year, there was a Fleadh music festival which brought a lot of people here – the numbers were over 100,000 over the course of the week. And for Akash, one of the most important aspects of that competitive edge is pricing. Akash also feels that running promotions is important to a successful site, and runs “very strong” offers on a regular basis at the store. And for Akash, those promotions are going to continue throughout the Christmas period. “We’re going to have very strong promotions over Christmas in conjunction with Daybreak, and we’ll be promoting it in the national press,” he said. It’s simple lessons like these that has helped Akash assemble an impressive network of filling stations in just seven years. “I started my first retail store in 2009 and just saw it grow,” he said. “It’s had its difficult points, and the recession was very hard, but the economy is picking up. Akash uses in-house and external mystery shoppers and audits to ensure his sites are among the best in the business. He’s also receiving a lot of valuable support from Applegreen’s business development manager, David Watson. David is always on hand to help Akash with any questions he has or any issues that arise. For more information or to become an Applegreen dealer partner please e-mail: dealer@applegreen.ie or call 01-512 4868.